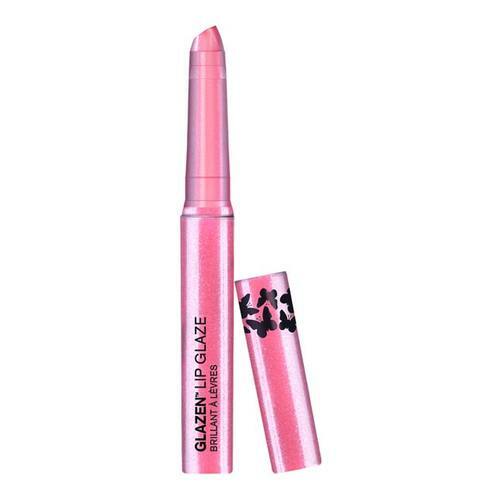 Add iridescent berry shine with this multi-dimensional lip gloss, leaving lips silky smooth with just the right amount of pink shimmer. Wear Pixie Dust alone or over lipstick to add multi-dimensional sparkle. Berry lip gloss with lustrous multi-dimensional finish. Multi-tasking formula can be worn alone or over lipstick. It has a bold 3D shine effect. This product has smooth, cushiony feel, Jojoba Oil & Avocado Oil nourish and protect lips. It is also Gluten free. Polybutene, Simmondsia Chinensis Seed Oil, Coco-Caprylate/Caprate, Calcium Sodium Borosilicate, Polyethylene, Bis-Diglyceryl Polyacyladipate-2, Disteardimonium Hectorite, Persea Gratissima Oil, Silica, Propylene Carbonate, PTFE, Phytosterols, Pentaerythrityl Tetra-Di-T-Butyl Hydroxyhydrocinnamate, Olea Europaea Fruit Oil, Sorbitan Oleate, Ascorbyl Palmitate, Tocopheryl Acetate, Phenoxyethanol, Mica, Aroma (Flavor), Limonene, Linalool, Citral, CI 77891 (Titanium Dioxide), CI 77491 (Iron Oxides), CI 75470 (Carmine). Twist component to the right to dispense product. Apply to lips for iridescent shine.